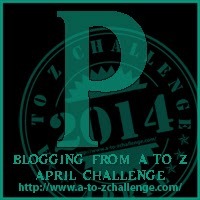 This is my first year participating in the A to Z Challenge. The list of participants can be found here. Thanks to Arlee Bird and the co-hosts for hosting this awesome challenge. Check out the site here. 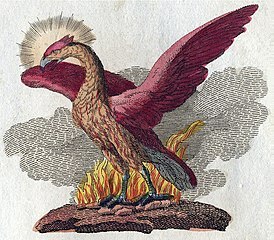 Today’s creature is the Phoenix. The term comes from ancient greek mythology. It is a bird that regenerates or is reborn. It is associated with Sun. The lore behind the bird is that it gains a new life from the ashes of its predecessor. It is known to have vibrant colors marking its body. The color usually associated with it is purple. Good P choice. The Phoenix is all about hope and I hope to read more. Good luck with the A-Z! Thanks for stopping by. Yes, they are. The phoenix is a great legend and so useful as imagery as well, because it is so well recognised. Yes, they are. If I remember correctly there’s one in the Harry Potter series. A favorite creature of mine, I have a picture of one hanging on my wall. Love using the Phoenix in my games/books. Cool. There are great creatures. Wonderful creature. Used as the symbol of my gaming guild when it was reborn. Also posted it in A to Z but under Finnish for the constellation Phoenix – http://rolandclarke.com/2014/04/07/f-is-for-feeniks/ -. and of course as Firebird is similar.